These ads will give Pennsylvania residents a look at how horrific pigeon shoots are. At this point, SHARK has committed to spending several thousand dollars to make this happen, but because we need to do much more, I am asking for your help. Please step up now and send us what you can to bring the horror of pigeon shoots into as many Pennsylvania homes as possible. The legislature will come back to work in a week, so there is no time to spare. Your donation of $50 will pay for one run of a commercial on CNN, FOX News, MSNBC or Animal Planet - reaching tens of thousands of viewers in a city. $100 will pay for two commercials on a national news network in Pennsylvania. 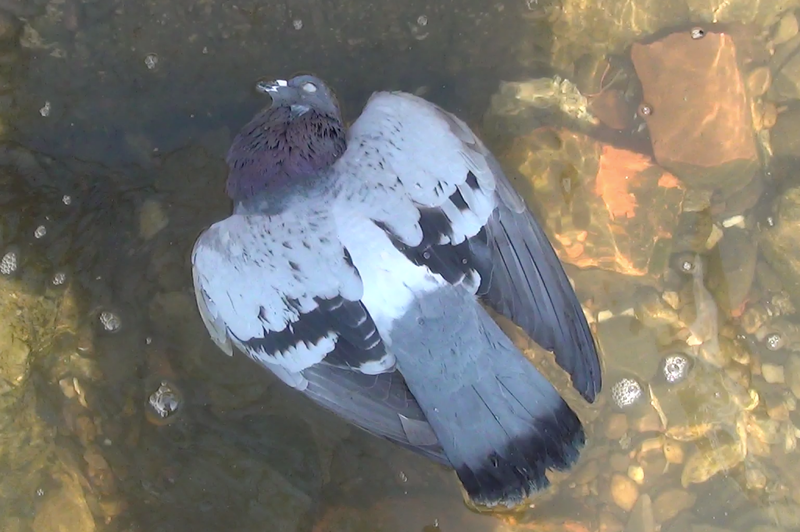 One of the many thousands of victims of the cruel pigeon shoots. Although many people don’t realize pigeon shoots still happen in Pennsylvania, the majority of those who do are strongly opposed so this insane cruelty. If we can get this message to enough people, I believe we can push legislators to do the right thing! We are up against the hundreds of millions of dollars of the NRA, not to mention their lackeys in government, law enforcement, and even the courts. This is a true David vs Goliath fight, but we are nevertheless moving forward, and the pigeon killers are afraid that their sick obsession is headed for the history books. Let’s do everything we can to make that happen!